Quuu is a content curation service that gives users suggestions for their social media posts. It allows users to select their preferred social media scheduling tool and set up interest categories for their social media profiles. In this article, we cover Quuu reviews and pricing. Ready to get started? Sign up for free. 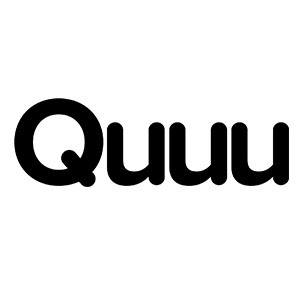 As of March 2019, there are no Quuu reviews available online. If you are a past or current Quuu customer, leave a review to help other business owners who are deciding whether or not to use the software. Quuu pricing is based on three subscription options: Free ($0), Pro ($19/month) and Business ($50/month). The main difference between the plans is the number of social media profiles that they can send content to. All of the plans include up to six new content suggestions per profile per day. Ready to get started with Quuu? Sign up for free. 10 Best Social Media Management Software: Social media management tools make it easier for you to schedule posts, manage conversations, and analyze your results. We analyzed dozens of options to find the best tools that will save you time and help you stay on top of your social media marketing. Based on cost, features, and ease of use, we chose 10 top tools. 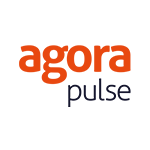 Quuu curates content each day by manually scouring the web and reviewing it to ensure its quality and relevance to each topic. In addition, content is curated by industry experts and promoted by Quuu Promote users. They are also hand reviewed to ensure you are always sharing the very best content in your chosen topics. When signing up to Quuu, you will be asked to choose your favorite social media scheduling tool like Buffer or HubSpot. You can then set up interest categories for each social media profile you already have connected. Each day, you will receive hand-curated content on autopilot to your schedule, or you can manually pick through our suggestions yourself inside the Quuu dashboard. Have you read these Quuu reviews and are still not sure if it’s the right fit for you? Read our reviews of all top social media management software or check out one of these three Quuu competitors.